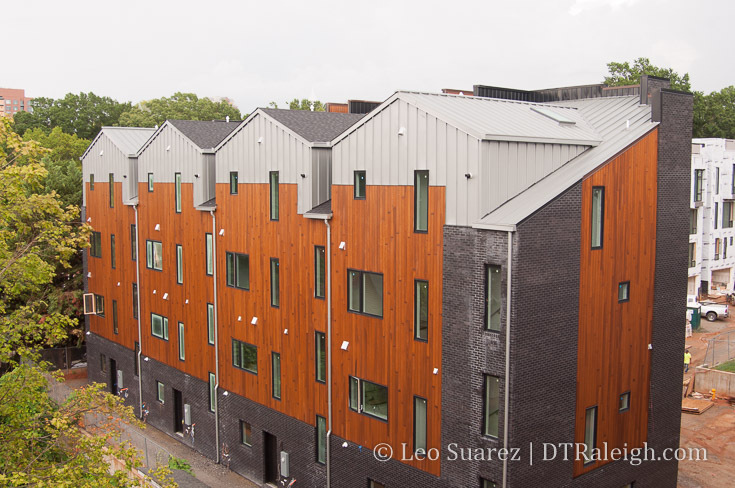 The Saint townhomes. July 2018. 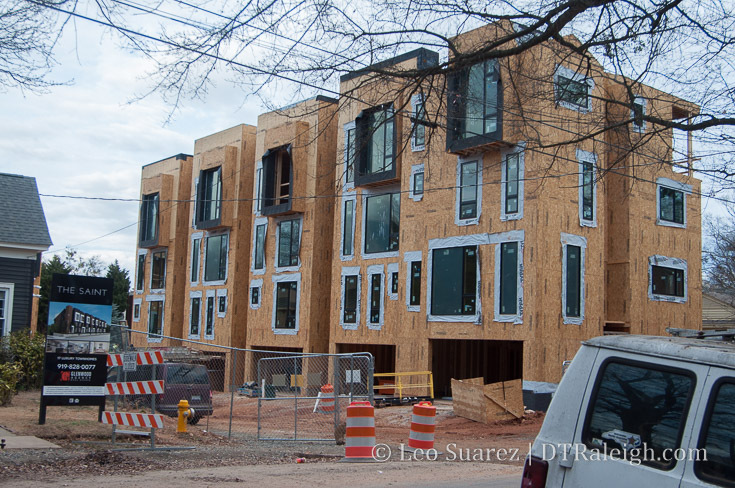 It’s been almost a year since we checked in on the townhomes along St. Mary’s Street, The Saint, and these units are coming along nicely. The 17 units offer something truly unique to downtown, the city even, as they are high in quality and design. With a mix of floor plans and views, each unit offers something different. The Saint has 10 of 17 units sold as of recently and should have residents moving in early 2019 or so. Let’s hope high design makes a splash so that others work to incorporate those successul elements into future projects. 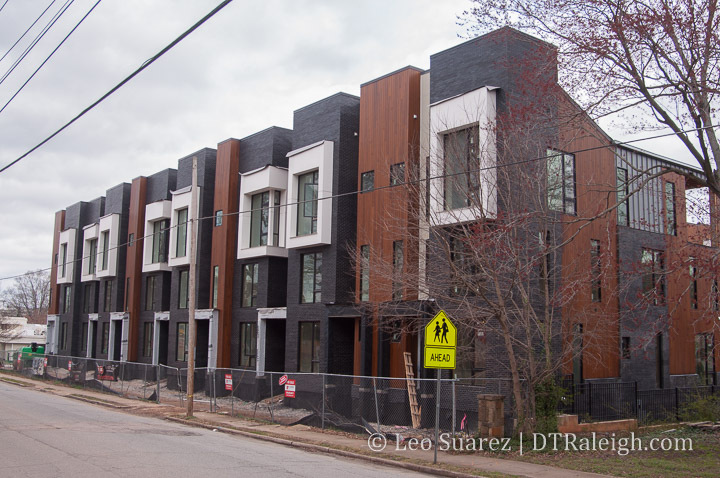 The Saint townhomes are moving right along with the first wave of units topped out. I like to think of this particular property as trying as hard as possible to balance the benefits of both urban and suburban living. They have spacious units but with a great location. Space for two cars but in an entirely walkable neighborhood. Downtown won’t turn urban overnight but I’d like to think these new developments are moving the needle a few notches in the urban direction when you take in the entire city’s growth direction. It hit me recently during a conversation in a downtown coffee shop that The Metropolitan apartments would have seen residents moving in this month. If you don’t know the history, the project, while under construction, met an unfortunate fate and went up in flames in March of this year. The developers plan to rebuild and the site is currently being cleared. 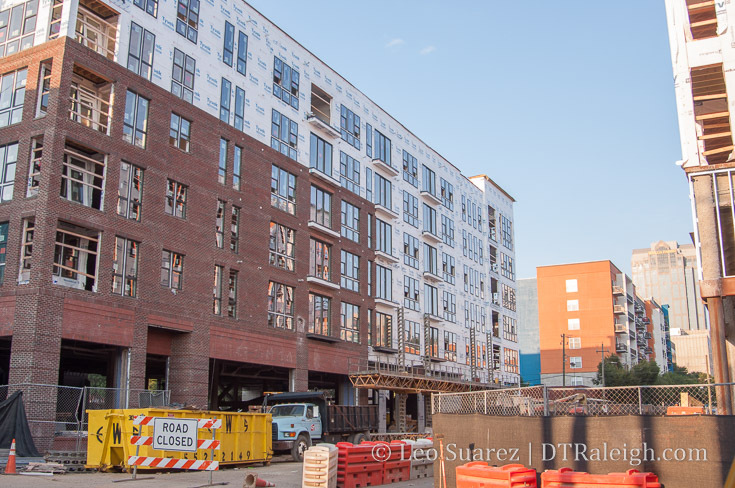 If it wasn’t for the fire delaying the delivery of The Metropolitan, we could easily see the end to the multi-unit, mid-rise apartment product line in downtown Raleigh. At least for the foreseeable future. Barring any new project announcements, the apartment pipeline would have ended with The Dillon opening in 2018. Taking a look at the latest list of projects released by the Downtown Raleigh Alliance, we can see that there are no planned projects similar to these. To be clear, I’m referring to the 5-7 story, wood-construction buildings with a larger footprint. Typically to make these work, developers have had to acquire multiple properties and combine them. That’s not to say the residential projects aren’t flowing. The product is just changing. 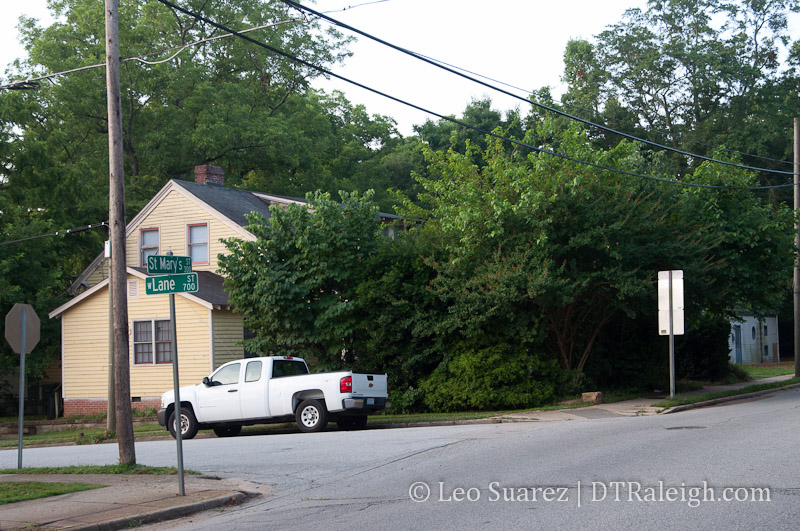 Smokey Hollow plans to bring 445 residential units in a 12-story building on Peace Street. 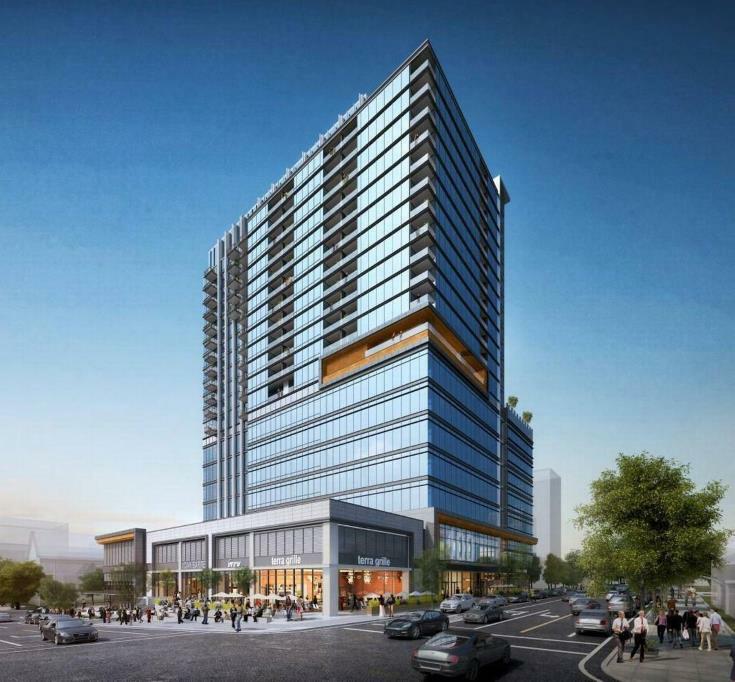 FNB Tower will mix up office and 247 residential units across 22 stories. 400H will also mix office and 220 units in a 20-story building. 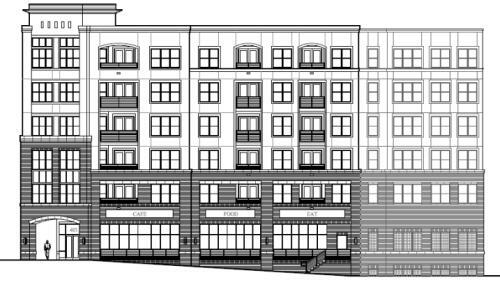 Details are still light on 301 Hillsborough but with a similar style to the other projects there’s no reason to guess that more residential units could be included. That’s 900 units across three projects right there. 115 townhomes are in the works and more are in the planning stages. Perhaps we’re at a point where combining multiple parcels for large footprint developments isn’t economically feasible for mid-rise buildings. There could be other changes in the market that are affecting this. Downtown could also be much more livable than before, enticing buyers to purchase units than rent. Maybe there is a hold on projects as plans for a downtown soccer stadium and big infrastructure changes to Capital Boulevard need to pan out for developers to pitch new projects. You could look at it from a lot of angles. It’s certainly a great topic to discuss. Construction for 17 new townhomes is underway along St. Mary’s Street between Jones and Lane Street. Called The Saint, these units are being billed as luxury with price tags on the higher end of the spectrum for downtown Raleigh townhomes. A quick visit to the location recently shows the foundation work has begun and you can get a glimpse of the new alley-street that will cut from Jones to Lane to access the units. You can find out more about The Saint at their website. There isn’t anything very exciting in the photo above but what we are looking at are lots along the 200 block of St. Mary’s Street. The houses that used to be here have been removed and multiple trees have been tagged with the letter C which I assume means that they are marked for removal. This clearing is for a project called 220 The Saint, or just The Saint alternatively, and it was highlighted here on the blog about two years ago. Jump back to that post for more information. The project will bring high-end townhomes to a heavy residential area, adding on to Glenwood South’s already rising population density. 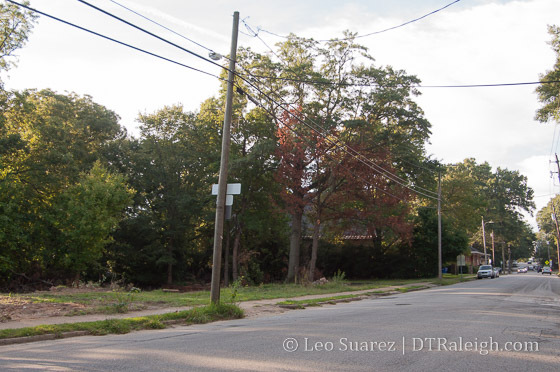 This is part 10 of a 10 post series, rolled out all week, on residential projects in downtown Raleigh. Go here to see all the posts so far. This week, we’ve covered a lot of residential projects. Looking across the week’s content, I estimate that a total of 1400 units are now under construction and there’s still more to come. The building will add retail spaces which only helps fill in the gaps within Glenwood South. 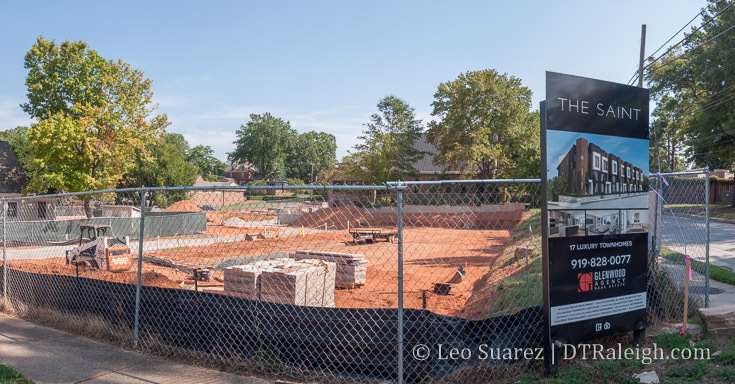 There is currently nothing there now that contributes to the pedestrian experience starting at the corner of Glenwood and North, past the always changing two-floor, club building and up to Cafe Helios. Plus, retail spaces along North Street will add more shop and restaurant density to Glenwood South giving it potential to lengthen its entertainment resumé. The 49-unit project called 220 The Saint will nestle apartments and townhomes along St. Mary’s Street in, where else, Glenwood South. 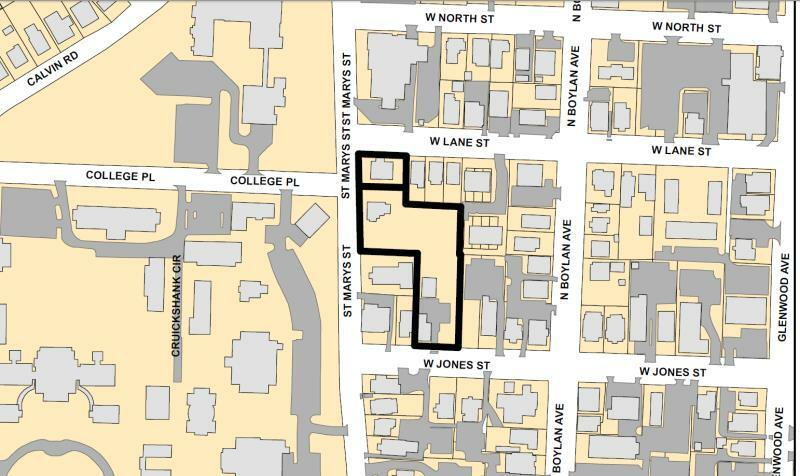 Starting at the corner of Lane and St. Mary’s Street, the new homes will go into the block, replacing single-family homes with multi-unit dwellings. Read more about it in this October 2013 post: Plans For 220 The Saint Bring Condos and Townhouses To Glenwood South. 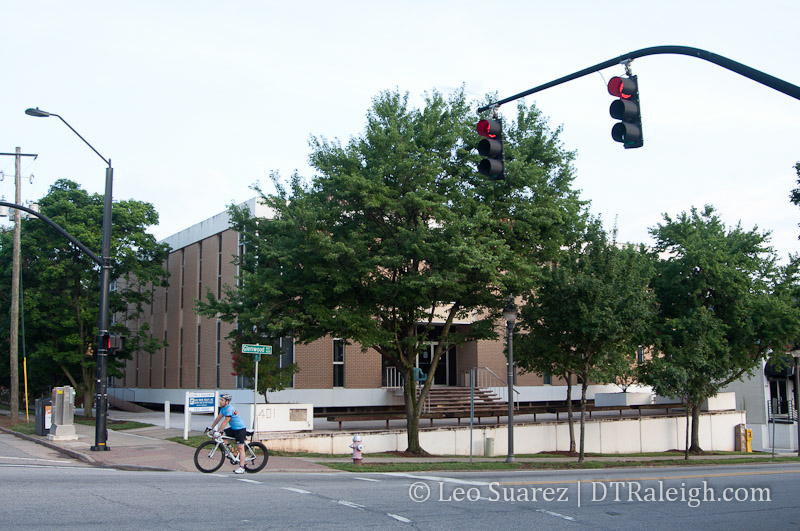 And finally, highlighted very recently, 10 units, called The Ten at Person, are planned to start in the next few months at the corner of Person and Lenoir Streets. Modern in style, these townhomes will be built on an empty lot east of downtown Raleigh. They are currently taking reservations, for sale not rental, with plans to close before the Fall. Indeed, the tetris piece you see there is one lot and is currently very underutilized. The development will replace two houses along St. Mary’s street in exchange for on-site parking and 49 units spread across three buildings, some being condos and others townhomes. The renderings in the submitted site plan are very preliminary but do show something that’s less dense than what we may have been used to in Glenwood South. I’m referring to the nearby apartment buildings at 712 Tucker and St. Mary’s Square. If you look at the proposal on the city’s website, you can see that a new driveway on Lane Street will be built for access into the development, the larger building includes the parking underneath. Other things to note from the development proposal are that the units will be 1 bedroom and the density is now raised to about 30 units per acre. (up from just 1) There are two houses that will be demolished for the development that front St. Mary’s Street and no historic significance seems to exist. Houses currently along St. Mary’s Street. While not too exciting on paper, this is infill development that Glenwood South continues to attract and we may see more and more of this if the larger apartment developments continue to be successful.